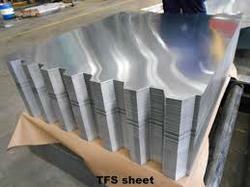 Also known as electrolytic chromium coated steel (ECCS), TFS has similar properties as TP, but is cheaper. 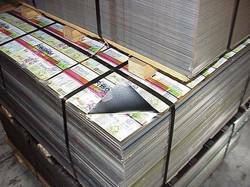 Its cost-competitiveness as well as outstanding paint adherence and corrosion resistance has made it a popular alternative to TP. Keeping track with latest market trends, we are devotedly engaged in offering a wide assortment of Tin Free Flat Steel Sheet.